PARIS (AP) – France’s yellow vest protest movement has joined ranks with a major union in a day of nationwide protests over taxes and buying power, a first for both. There were brief scuffles and police fired several rounds of tear gas at Tuesday’s Paris demonstration, clearing troublemakers from the elegant Place de la Concorde, which borders the U.S. Embassy. 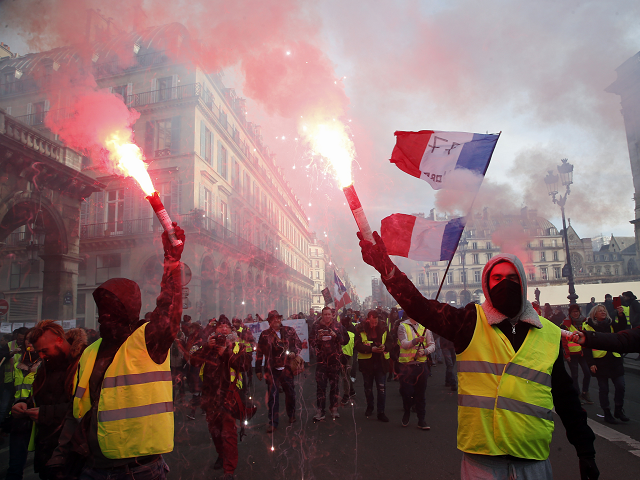 The Communist-backed CGT union marched from Paris City Hall to the Place de la Concorde side-by-side with protesters from the yellow vest movement, which takes its name from the safety vests they wear that are required in all cars.